Plenty of people have mocked the ridiculous proposal to create a $15 minimum wage for fast food workers by showing pictures of international McDonald's order kiosks that replace workers in countries with expensive labor. The economics are straightforward here: Business owners have to decide if a task will be completed by a worker, a machine or a combination of the two. More robots and machines means fewer jobs for humans, but that is a consequence of technology and progress. We want production to be more efficient, as that brings down costs and frees up people to work in other fields, so in the long term it's good to replace workers with machines. In the short term, it can be bad for individual workers who lose their jobs. Automating jobs with machines requires capital investments and may naturally be more expensive than hiring humans, but as labor costs go up, it becomes more and more tempting to replace workers with automation. This is bad thing overall, as jobs are automated not because it's efficient but in response to a political constraint. It doesn't save the customer any money by bringing down prices. See the difference? The first example is beneficial to society overall, but the second one is not. Modern technology allows us to automate more and more jobs, including ones we thought could never be replaced. 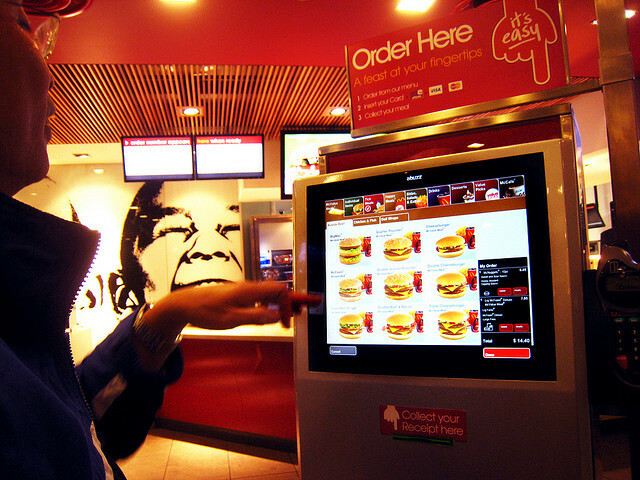 Fast food cashier is once one of those jobs, and now those workers should be concerned about being replaced by machines. Okay, so there will still be people out back making the food, right? Well, not always. 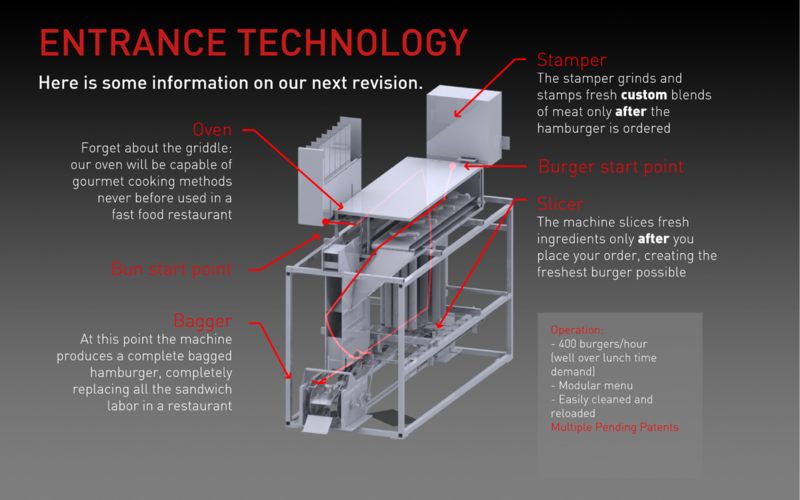 A company just invented a machine that makes hamburgers from scratch, with a full-cooked and packaged burger coming out ready to eat every 10 second. Momentum Machines cofounder Alexandros Vardakostas told Xconomy his "device isn’t meant to make employees more efficient. It’s meant to completely obviate them." Indeed, marketing copy on the company's site reads that their automaton "does everything employees can do, except better." That doesn't mean that every company will buy a hamburger robot, but it does mean those robots will become a real consideration in the future.